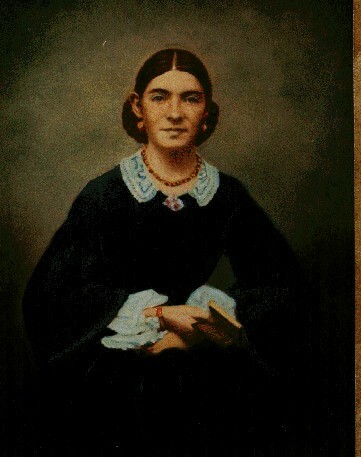 Mary Ann Parsons was Neil M. Franklin's grandmother's maiden name. He wrote to REP on April 7, 1998, "Such research that my nephew and I have been able to accomplish indicates that she was born in Ireland in 1830, emigrated to the U.S. in 1852, married John Carney (in St. Patrick's Church, Charleston, SC on July 1, 1861) and had "several" children with him, five of which were still living in 1900. They were: William, Edward, Joseph, Mary Margaret, and Anne Agnes (my mother). The 1900 census of Charleston was erroneous in showing George as one of the children of John and Mary Carney, since he was their son-in- law (my father, George Avery Franklin) and was married to their daughter, Anne Agnes Carney, Apr 7, 1896. John Carney died in July 8, 1900, while Mary Ann Parsons Carney lived until Oct 5, 1920. Both died in Charleston, SC. My nephew and I have made inquires to both the North and South Mayo County Genealogical sources concerning the parentage and ancestry of Mary Ann without definite, solid proof thereof. Likewise, we have had no success with the Longford sources in Offaly County." The search for Mary Ann Parsons, interested me further not because I think I am related to her but because because of its ties to County Mayo, Ireland, were I had previously had very little Parsons connections. The leads to Parsons in Ireland in 1800's County Mayo are being added to my "Parsons in Ireland 1590-1850" web site. 2)Brent Holcomb wrote, "On the 1860 census of Charleston, page 283, #531/489, in the household of one JOHN COMER, I found William Parsons aged 50 Male, Laborer born Ireland. Mary aged 25 born Ireland. Winford aged 43, widow, born Ireland. This must be the Mary Parsons (the only one I found the approximate age of your ancestor) for whom we are looking. It fits, since they would have immigrated in 1852." He found William Parsons listed in the index of naturalization for 26, June 1861 but no papers. He noticed also "Jno Parsons, a few days later, probably a son." 3)Brent Holcomb said " I did find a death record, for William Parsons... He was buried 8 Nov 1872, born Ireland, had resided in Charleston for 19 years, died at 66 Calhoun Street in Charleston, and was buried in the St. Lawrence Cemetery. I went to the St. Lawrence Cemetery, the Catholic Cemetery, in Charleston, in hopes of finding a grave marker which just might state the exact place of birth. Frequently, grave markers of Irish immigrants do just that. Well, there is a square marked off with the Wm. Parsons name, but his grave is apparently unmarked. HOWEVER, I did find in that square the grave of JOHN COMAR, who died 1 November 1862, aged 37, a native of Dremderry, County Mayo, Ireland. Notice that William Parsons was living in this (COMER) household in 1860!" 5) Note from NMF to South Mayo Family Research Center (SMFRC), Feb 26, 1997 -- "Mary Ann Parsons (Carney)'s death certificate shows her mother's name as Bridget Parsons (no maiden name given) and her father's Christian name was unknown. Since I was only 7 years of age at the time of her death, I am unable to recall much verbal family history concerning her early origins or upbringing, but it seems to me that I remember that she supposedly could speak Gaelic, and that she was somehow connected to Mayo County." 6) Note from NMF to Paul Waldron SMFRG, dated May 6, 1997 -- "My eldest sister was born in 1898, and in a letter dated 16 December 1958 to one of her nephews, she stated that "John Carney, born in Liverpool, England, in 1828. He married Mary Ann Parsons, born in County Clare, Ireland in 1837. Her mother's maiden name was Castillo."